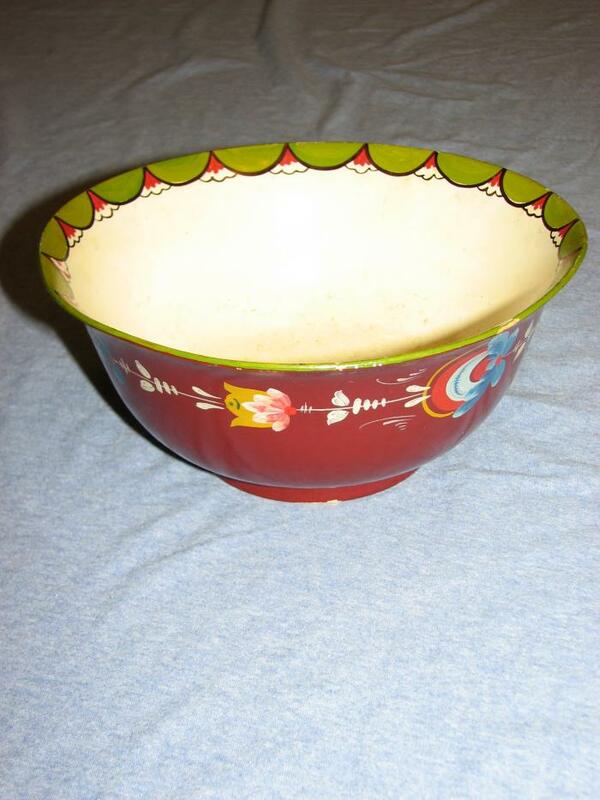 Wooden bowl with Rosemaling by Per Lysne. Red with pink, white and blue flowers outside. Beige with green scalloped edge and pink flowers inside.